Friends of Ore Dock BotEco Center is an official 501(c)(3) nonprofit with an ambitious vision to transform our community with the development and operation of the Ore Dock BotEco Center. This project will involve countless hours of hard work, careful planning, and community input. With each milestone reached, the nonprofit continues to build the momentum that will launch BotEco to success. Ownership and responsibilities relating to the Lower Harbor Ore Dock have been clarified with local and state agencies. 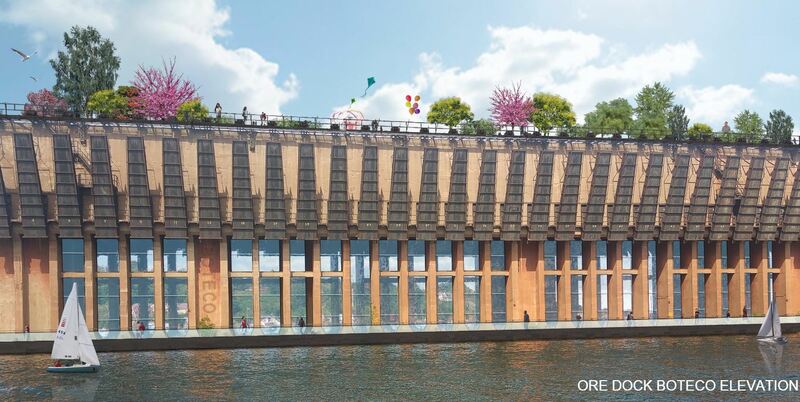 ​The Ore Dock BotEco Center has received approval and support from numerous public institutions and key individuals, including Northern Michigan University, Community Foundation of Marquette County, Travel Marquette, Michigan Department of Environmental Quality, Michigan Historical Society, Michigan State senators and representatives, and the City of Marquette.